If you would like to be married at Central Presbyterian Church and are a member or the close relative of a member, please call the Senior Pastor's Assistant at the Church Office (908) 273-0441 x19 to see what dates are available. Once a date is chosen, the Session is given your request for marriage. Upon approval by the Session, you will be sent a letter of confirmation. In extenuating circumstances, non-members may submit a request that needs to be approved by the Senior Pastor and Session. Additional wedding fees may apply. 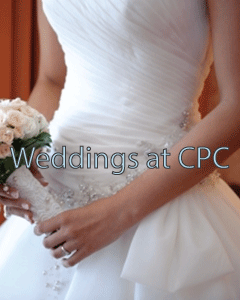 The Wedding Coordinator of Central Presbyterian Church will play an important role in helping you plan your wedding. The Wedding Coordinator is the official representative of the church in charge of arrangements for your wedding, and will explain our policies and coordinate the details having to do with the use of the Church. Please make an appointment with the Wedding Coordinator as soon as the date of your wedding has been confirmed. If you hire your own Wedding Coordinator, our Wedding Coordinator will work with her, but Central’s takes precedence. Central Presbyterian Church requires a minimum of two pre-marital counseling conferences. These meetings with the Minister should be arranged as soon as possible. Through counseling, the Minister tries to help the couple prepare for Christian marriage. With a practical and realistic approach, he or she attempts to help the engaged couple understand the basic concepts of the covenant of marriage. The Minister will seek to address the spiritual, physical, social, economic and mental adjustments that attend any marriage. The wedding ceremony is a Christian worship service of the Church. Music attending such a worship service should be consistent with the Presbyterian understanding of worship. Music accompanying the ceremony should direct attention to God who sanctifies marriage, and special care should be taken to assure that it is suitable and reverent. Weddings at Central Presbyterian Church may feature pipe organ music, piano music, or a wide variety of combinations of instrumentalists and vocalists. Consult with our Director of Music Ministries who will assist you in selecting music and will play at your wedding. We recommend an early conference with her to make arrangements for the music. If she is unable to be at your wedding, she will arrange for a substitute musician. Our Music Director will recommend a soloist, or will work with a qualified vocalist of your choice. Our traditional, neo-gothic Sanctuary is most appropriately enhanced by a single bouquet of relative simplicity behind the communion table. The couple selects the florist and arranges for placing the flowers and candles. Two single candles are always in place on the communion table, and center aisle candles are also available and can be arranged for a fee of $50. The Wedding Coordinator is to be consulted regarding floral decorations. No nails, screws or other hardware that penetrate the woodwork may be used in the Sanctuary or Chapel. Florists must assume all responsibility for all damage caused by decorations or the equipment used to decorate. It is understood that any decorations attending a wedding will be in addition to those furnishings, appointments or banners already in place. Because the act of marriage is a civil matter in New Jersey as well as a spiritual one, a license must be obtained in advance of the ceremony. It is illegal for a pastor to perform your wedding without your license. Be sure to have your license here at your rehearsal! Give the license to the Wedding Coordinator at the beginning of the rehearsal. The license will be signed by the Minister at the time of the wedding. Your marriage license may be obtained at your local Health Department up to 30 days prior to the wedding. Licenses are filed in the community where the wedding was performed. For weddings at Central that would be Summit, New Jersey. The rehearsal serves to acquaint each participant with the proceedings so that each will feel comfortable about his or her part in the service. The date and time for the wedding rehearsal will be in your confirmation letter. If you need to change it, please call the Wedding Coordinator, who will inform the Church office. It is extremely important that the rehearsal begins on time and that the entire wedding party be present. Photographers come at the invitation of the family and are to be instructed in advance as to the procedures by the Wedding Coordinator. A list of guidelines will be given to the couple. A copy of these guidelines should be given to your photographer and videographer. Flash photographs are not allowed during the wedding ceremony itself, but may be taken during the processional and recessional. The order for the solemnization of marriage found in the Book of Common Worship, or The Worshipbook of the Presbyterian Church, will be used. The Minister will welcome your suggestions about specific details of the service. It is neither tradition nor proper etiquette to arrive late for your wedding. Please be considerate of your guests, the Minister and Organist, and arrive on time. Weddings that begin more than 15 minutes after their scheduled time will be assessed a late fee. On rare occasions members of a wedding party have arrived at the church under the influence of drugs or alcohol. Because this is a sacred occasion, as well as a legal binding of two parties, neither the rehearsal nor the wedding will proceed if either the bride or groom is incapacitated by drugs or alcohol, and any member of the wedding party under the influence will not be welcome to participate in the wedding party. Sunday weddings are not available nor are the following weekends of: Holy Week (Palm Sunday to Easter); Memorial Day, Labor Day, Independence Day; Thanksgiving weekend and Christmas (including the week before and after). If you would like to be married at Central Presbyterian Church and are a member or the close relative of a member, please call the Senior Pastor’s Assistant at the Church Office (908) 273-0441 x19 to see what dates are available. Once a date is chosen, the Session is given your request for marriage. Upon approval by the Session, you will be sent a letter of confirmation. In extenuating circumstances, non-members may submit a request that needs to be approved by the Senior Pastor and Session. Additional wedding fees may apply. The wedding ceremony is a Christian worship service of the Church. Music attending such a worship service should be consistent with the Presbyterian understanding of worship. Music accompanying the ceremony should direct attention to God who sanctifies marriage, and special care should be taken to assure that it is suitable and reverent. Weddings at Central Presbyterian Church may feature pipe organ music, piano music, or a wide variety of combinations of instrumentalists and vocalists. Consult with our Director of Music Ministries who will assist you in selecting music and will play at your wedding. We recommend an early conference with her to make arrangements for the music. If she is unable to be at your wedding, she will arrange for a substitute musician. Our Music Director will recommend a soloist, or will work with a qualified vocalist of your choice. Our traditional, neo-gothic Sanctuary is most appropriately enhanced by a single bouquet of relative simplicity behind the communion table. The couple selects the florist and arranges for placing the flowers and candles. Two single candles are always in place on the communion table, and center aisle candles are also available and can be arranged for a fee of $50. The Wedding Coordinator is to be consulted regarding floral decorations. No nails, screws or other hardware that penetrate the woodwork may be used in the Sanctuary or Chapel. Florists must assume all responsibility for all damage caused by decorations or the equipment used to decorate. It is understood that any decorations attending a wedding will be in addition to those furnishings, appointments or banners already in place. It is neither tradition nor proper etiquette to arrive late for your wedding. Please be considerate of your guests, the Minister and Organist, and arrive on time. Weddings that begin more than 15 minutes after their scheduled time will be assessed a late fee. On rare occasions members of a wedding party have arrived at the church under the influence of drugs or alcohol. Because this is a sacred occasion, as well as a legal binding of two parties, neither the rehearsal nor the wedding will proceed if either the bride or groom is incapacitated by drugs or alcohol, and any member of the wedding party under the influence will not be welcome to participate in the wedding party. as you prepare for your wedding. $100 (non-refundable if canceled within 3 months of agreed upon date). Please make a deposit check payable to Central Presbyterian Church and forward to the Wedding Coordinator, noting your wedding date in the memo portion of your check.